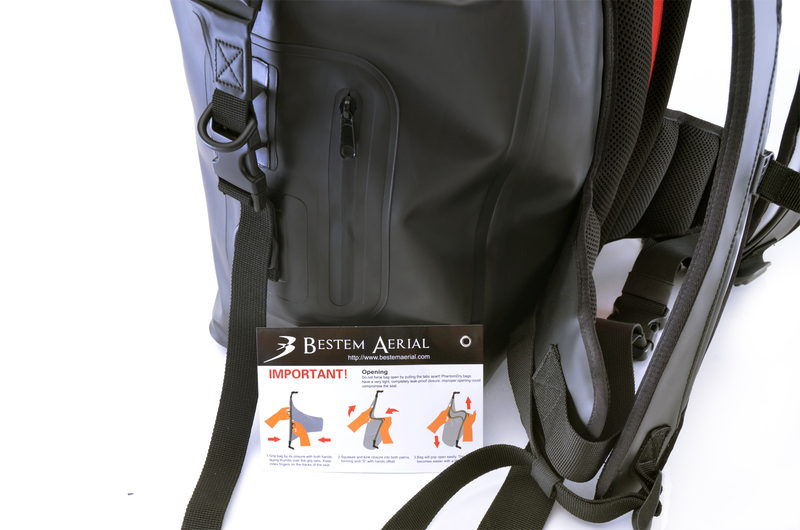 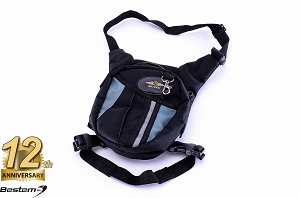 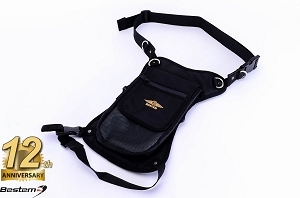 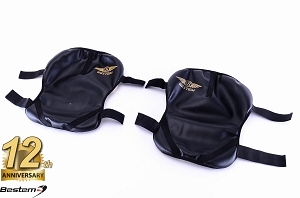 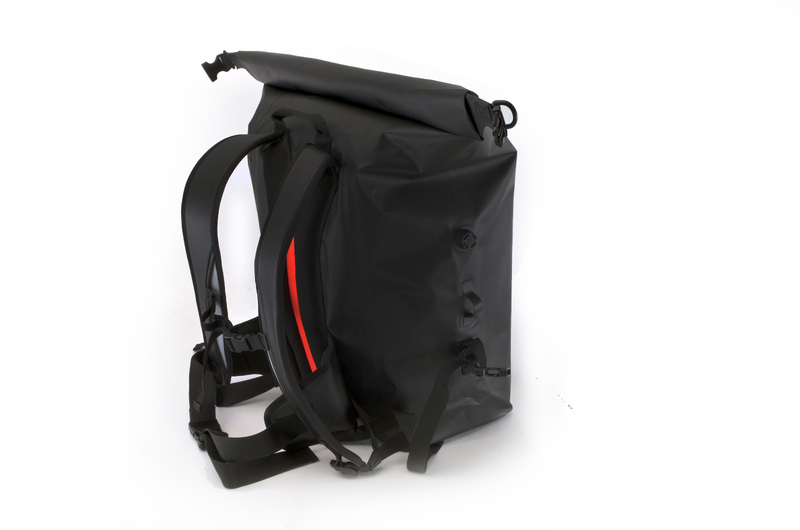 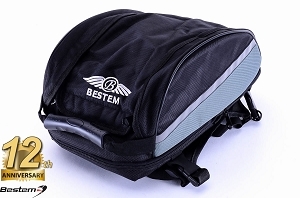 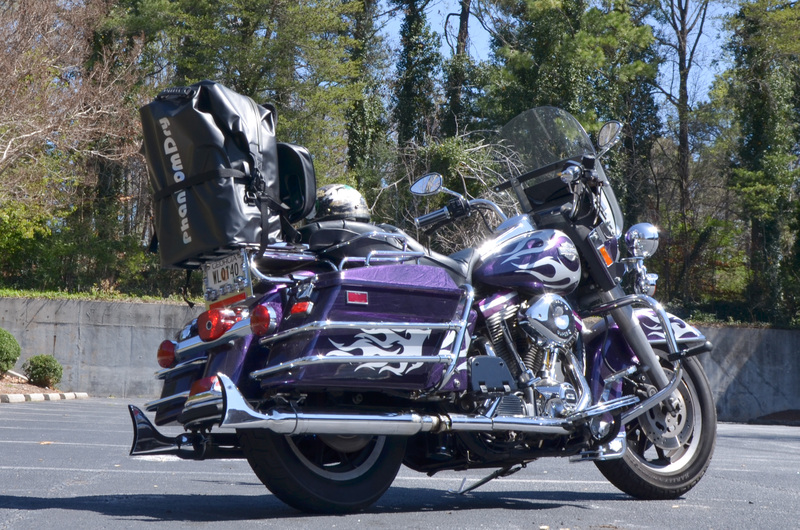 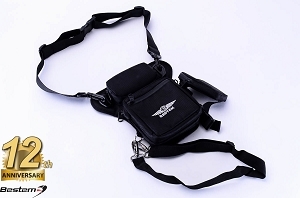 · Backpack can be secured to a motorcycle or a kayak with provided adjustable strap and anchor loops. 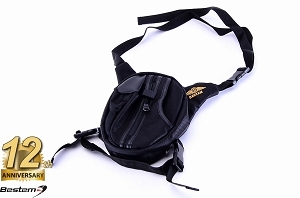 · Professional outdoor grade shoulder straps and padded kidney belt provide great support and comfort when the backpack is fully filled. 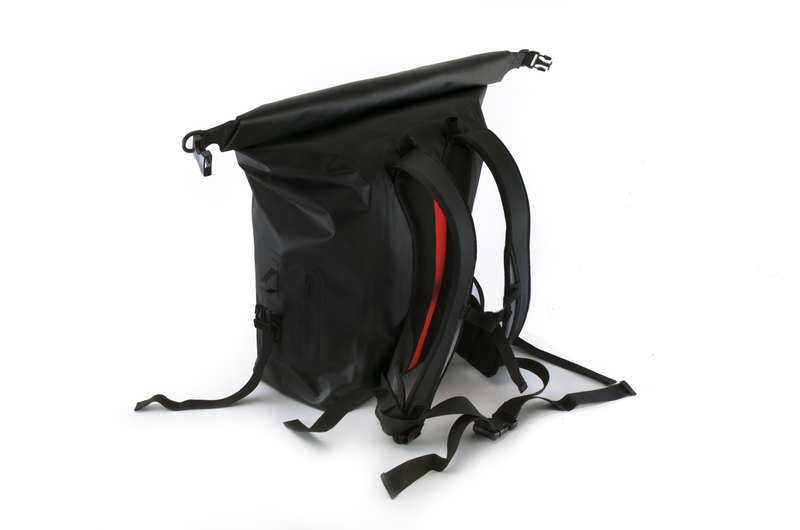 · Rectangular bottom measures 14" x 8.5", the bag from bottom to the seal lock measures 29.5". 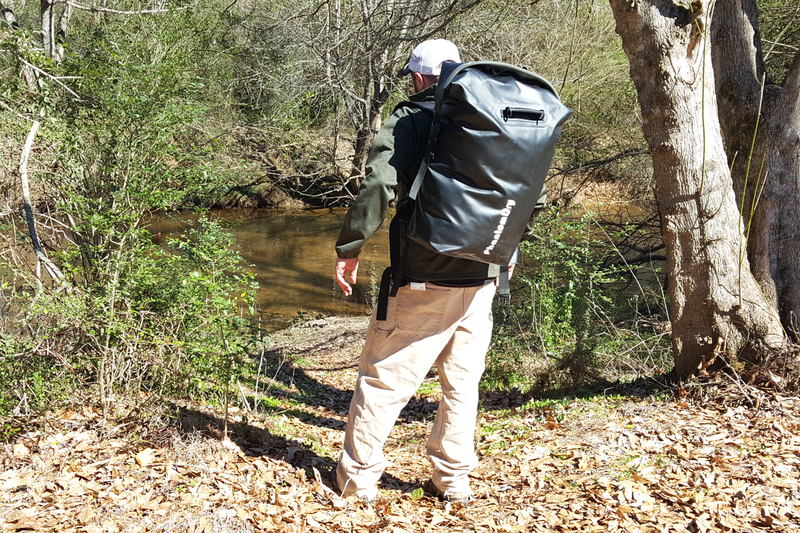 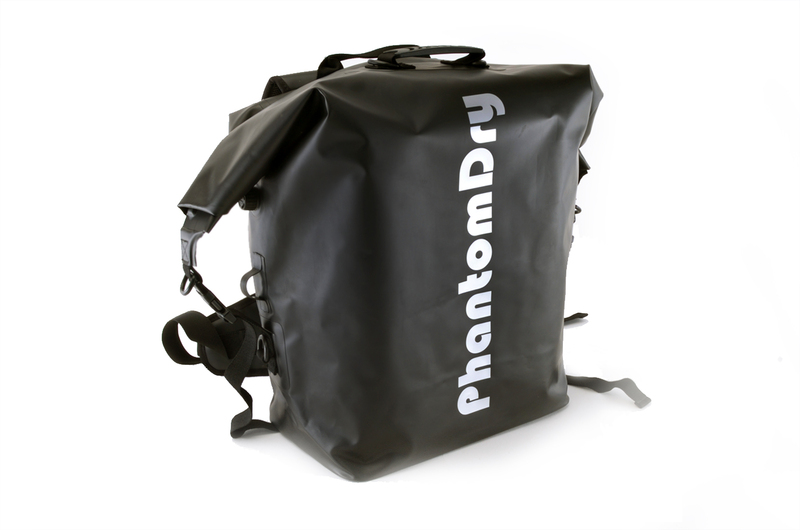 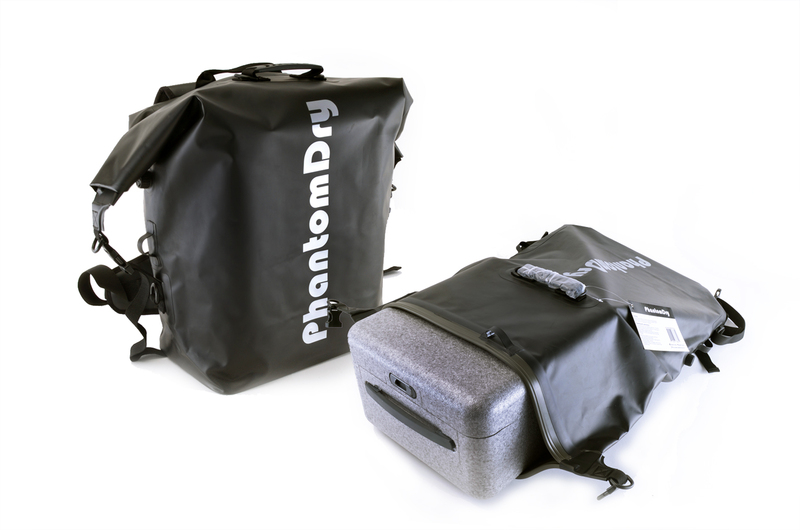 By volume it's 55 Liters.
. PhantomDry Backpack carries a 10-year USA warranty.